6" flower of Japanese form, with a double row of delicate, shell pink outer guard petals. Petaloids often arise from the chamois-colored center. 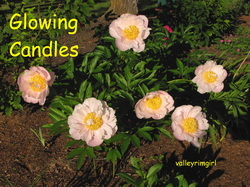 Side buds prolong the bloom period on Glowing Candles. 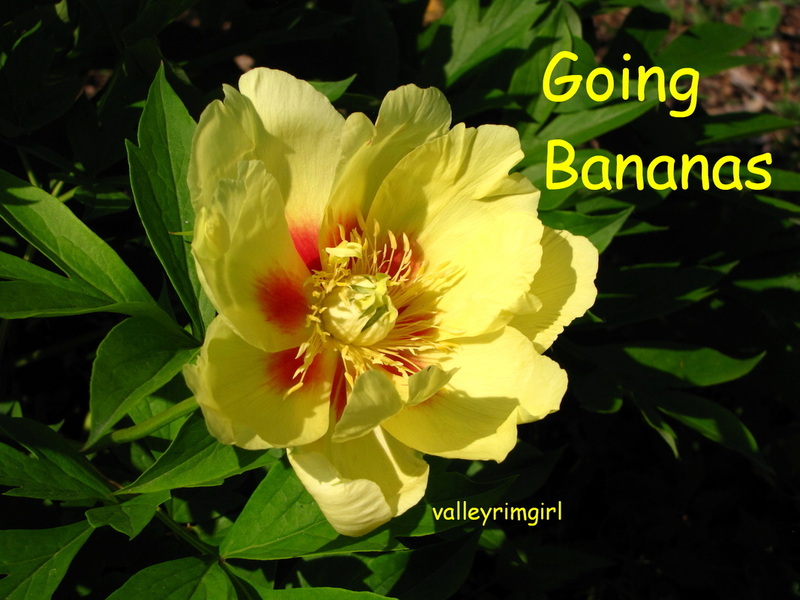 25-29" tall with a spread of 29-35"
Very large flowers have intensely yellow single to semi double petals surrounding a tuft of yellow stamens with some red flaring in the center. It has a pleasant, slightly spicy scent. One of the best yellows ever produced. 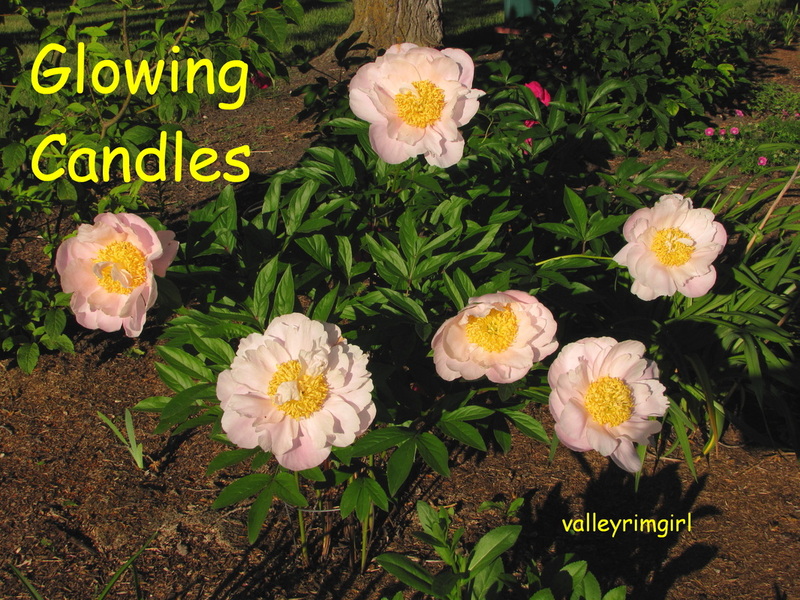 Makes an excellent garden plant as the sturdy stems require no staking. Compact growth habit. Previous garden name was Mozart. Single type with a very large flower. 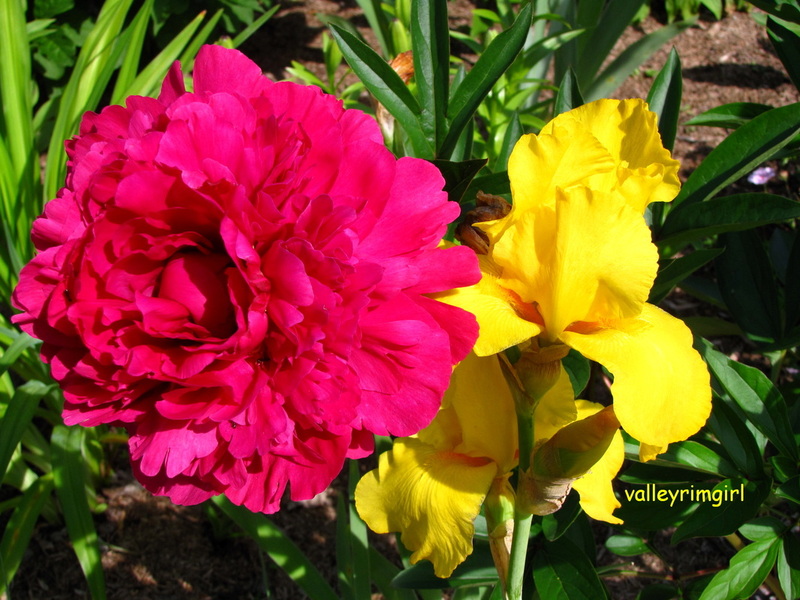 Bright magenta colored petals with a center of yellow stamens. 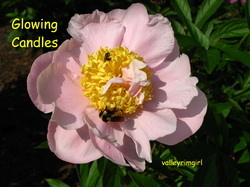 Stems of medium length, straight, holding flower erect. I noticed on my Harriet Olney that each evening the flowers will close and reopen the following morning. 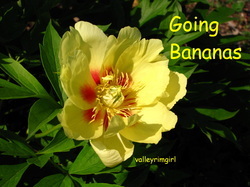 Even when I cut a flower and have it in a vase in the house, it does the same thing. 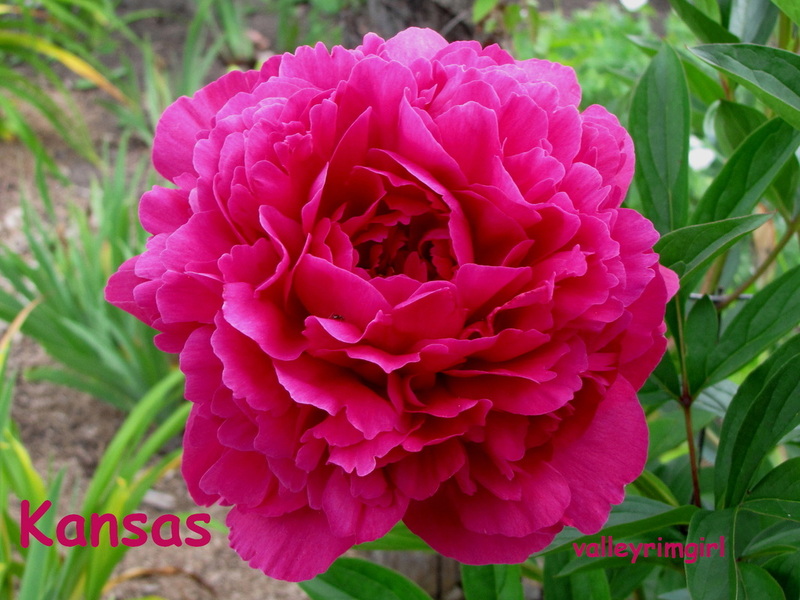 Double rosy watermelon red to deep pink rose-type flowers on strong dark green stems. The flower is full double with a few hidden stamens. Fades very little, if any. Awards: American Peony Society Gold Medal winner 1957. 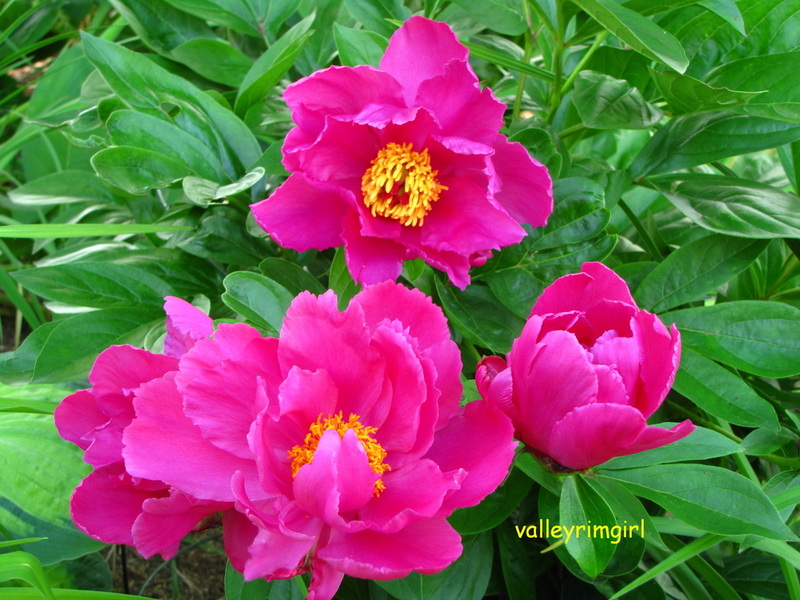 Kansas peony is planted next to Well Endowed iris. A very eye catching combination! 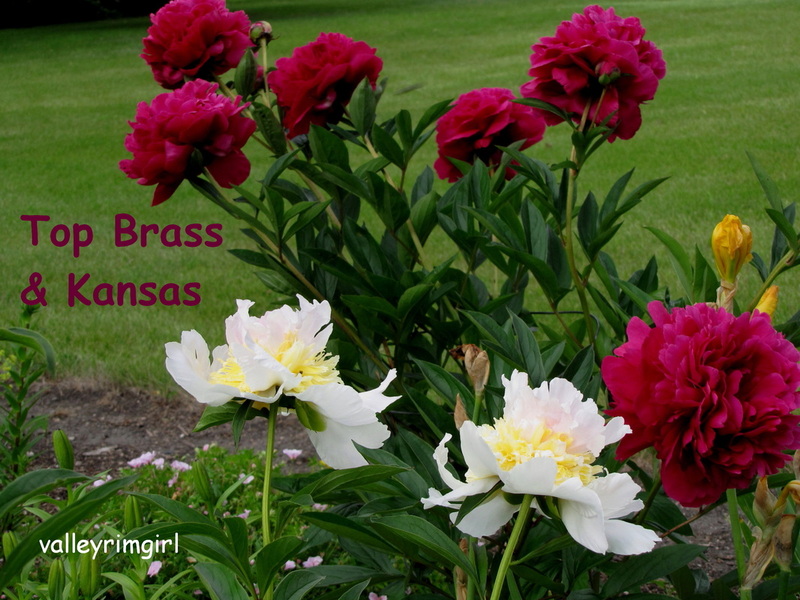 Top Brass and Kansas peonies. 6" Semi-double to double. 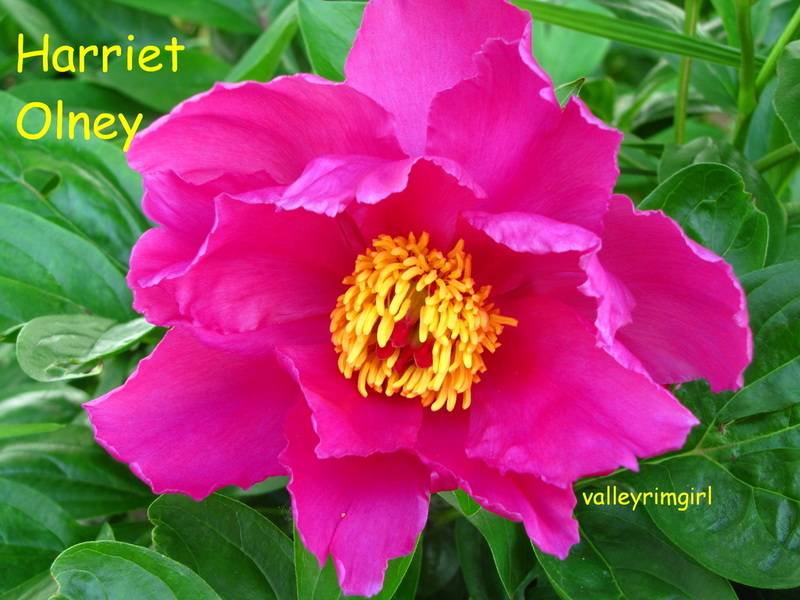 New flowers – very bright dark lavender pink. 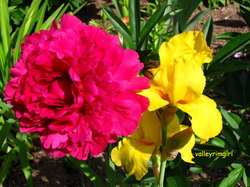 Older flowers – outside of petals almost white, center stays pink. Petals completely open up during the day and close up at dusk. Eye-catching fragrant double deep rose red bowl-shaped flowers that stand up well to sun and rains. The red mottled stems are strong and hold the blooms well. 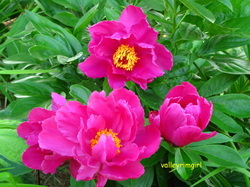 The colour combines well with pink varieties. Hybridized by W. R. Jack, the son of Milton Jack and named after him. 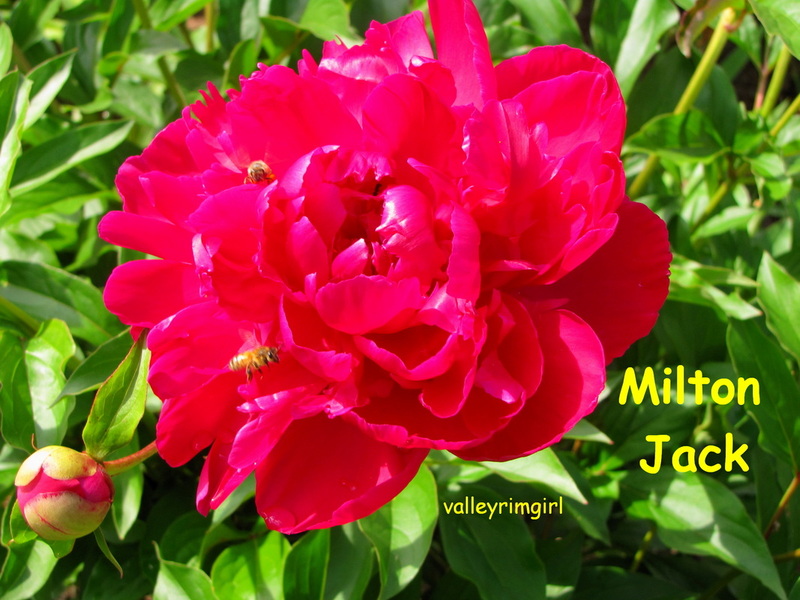 Milton Jack was the founder of Fercliff Gardens, located in the Fraser Valley in BC.